Whether used as your primary navigation resource or as back up to your electronic navigation system, Da Gama Maritime can advise and supply you with the right paper chart folios for your outfit, operating area and flag state. 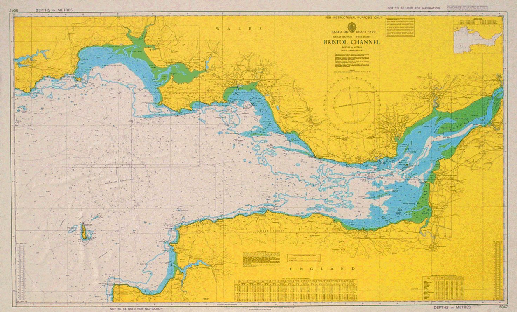 As suppliers of charts from the major Hydrographic offices and as an ADMIRALTY Distributor for the UKHO, we can deliver your charts to a location that suits you, anywhere in the world. As a company ISO9001 certified by BSI (British Standards Institute) for our navigation management procedures you can guarantee we provide the most professional standards. Every order is checked before it leaves our office to eradicate the risk of error and we use insured reputable courier services to minimise delays and clear customs. UK charts will always be up to the latest edition before leaving us and if don't have it in stock at the time of a priority order, we have the ability to Print On Demand for a small surcharge (waivered for those under our navigation management).